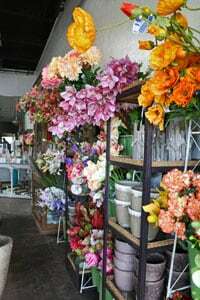 Established in 1987 by Greg Davis and Mark Myers, New Leaf Florist consistently provides its customers with the widest variety of floral design and floral related services. 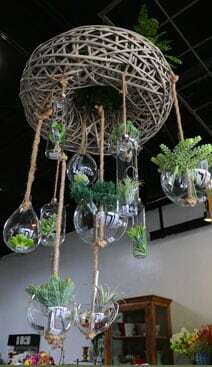 Residential and commercial services include weekly or monthly fresh floral arrangements as well as permanent silks and accessories to enhance interior designs. The 2500 square foot showroom features a beautiful selection of vases, ceramics, candles, indoor and outdoor accent pieces as well as original artwork by local artists. Nine designers with over 152 years of combined experience are on staff to plan all your events including the wedding of your dreams. This award winning team continues to expand their expertise and talents by attending floral seminars and workshops nationwide. New Leaf Florist offers daily deliveries in the metro area including North and South Oklahoma City, Moore, Norman, Midwest City, Del City, Yukon, Mustang, Surrey Hills and Edmond. We also wire out flowers around the world. Wherever you need flowers sent we will take care of it with special attention to the smallest details. New Leaf Florist can provide for any special needs or occasions that may arise in your home, office or life. *Our shop is open from 9:00 a.m. to 5:30 p.m., Monday through Friday and from 9:00 a.m. to 5:00 p.m. on Saturday. We are closed on Sundays. To help assure on-time delivery during the busy holiday season, place your order at least 5 days prior to the following major holidays: Thanksgiving Day, Christmas Day, New Year's Day, Valentine's Day, Easter, Administrative Professionals Week, Mother's Day, Memorial Day, Father's Day, Independence Day and Labor Day. Our shop will always be closed on the following holidays: Thanksgiving Day, Christmas Day, New Year's Day, Easter, Mother's Day, Memorial Day, Father's Day, Independence Day and Labor Day. Our shop serves the following areas in Oklahoma: North Oklahoma City, South Oklahoma City, Moore, Yukon, Del City, Midwest City and Mustang. There is an extra charge for Edmond and Norman.. If you have any questions or need more information, please contact us directly at (800)326-4029. We're always here to serve you and make your flower-sending experience a pleasure. For deliveries outside of the OKC Metro area, please call (800) 326-4029 or (405) 842-2444 and place the order directly with us.